If you want to be a clinical social worker, you need to get licensed. 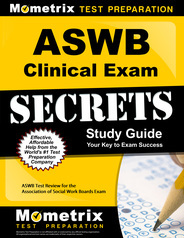 The Association of Social Work Boards (ASWB) administers the Clinical Social Work licensing exam. Professionals who pass the exam show they have the knowledge and skills to succeed in the field. What’s the test like? How can I get a study guide that will help me pass? The information below will help. How many questions are on the ASWB Clinical Social Work test? There are 170 multiple-choice questions. Of those, 150 are scored and 20 are not scored. It costs $260 to take the test. You can request an application through your local social work regulatory board. (Note that you may have to pay additional fees to your state or jurisdiction’s licensing board.) Your board will provide the approval to take the test, and you can then register with the ASWB. What’s the time limit when taking the exam? There is a four-hour time limit. When should I arrive at the test center and what should I bring? You should arrive at the test center at least 30 minutes prior to the exam. You’ll need identification — a government issued ID such as a passport or drivers license, and a secondary ID (work ID, social security card, for example) that has your name and signature. What can’t I bring into the testing room? You can’t take any personal items, such as electronic devices, cell phones, watches, and outwear, into the testing room. Any personal items must be stored in a locker at the test center, and you can’t access them during the test. Food and drink are also not allowed, unless candidates have received permission in advance. You can take a short break, but the break counts against your exam time. 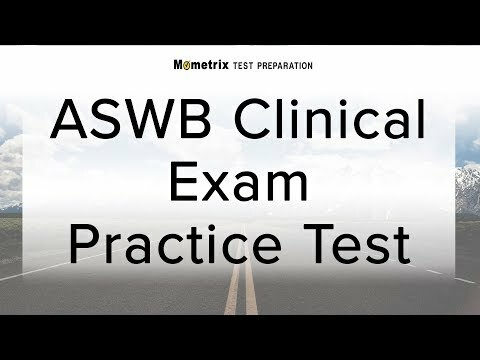 What’s on the ASWB Clinical Social Work test? There are four sections to the exam, which tests knowledge, skills and ability. They are described below. In each case, the descriptions include topics that could be included in the exam. Human growth and development. Could include the impact of body image; various developmental theories, including sexual development and spiritual development through the lifespan; the impact of loss, separation and grief; gerontology; and the effect of aging parents on adult children. Human behavior in the social environment. May include Interpersonal relationship dynamics; theories of crisis intervention; social change and community development theories; conflict theory; and criminal justice systems. Diversity and discrimination. Concepts of sexual orientation; how the transgender and transitioning process impacts behaviors, attitudes, identity, and relationships; and feminist theory. Assessment and diagnosis. Psychosocial stress indicators; behavioral dysfunction indicators; methods of data collection and analysis; and mental and emotional illness indicators. Professional values and ethical issues. Social work legal and ethical issues; identifying and resolving ethical issues; and several legal and ethical issues, including dual relationships, termination, and death and dying. Professional development and use of self: Staying objective; maintaining a safe work environment; and self-care techniques for social workers. This is one of the more important tests you’ll take in your career. Now, you need a professional study guide to help you pass. Mometrix has the study guide for you, one that’s been developed by professionals who understand the Clinical Social Work exam. 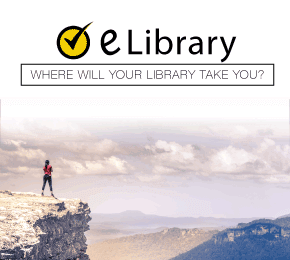 We also have a flashcard study system that will help you study on the go and get help from colleagues wherever you are. Both are an excellent investment as you study for the Clinical Social Work Licensing Exam. Mometrix Academy is a completely free resource provided by Mometrix Test Preparation. 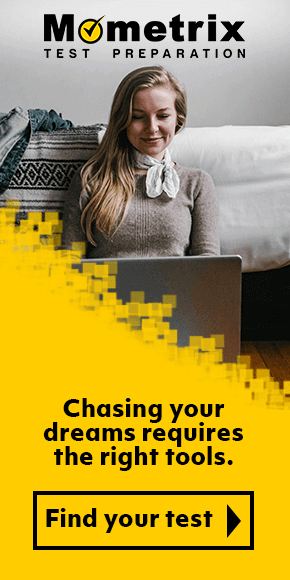 If you find benefit from our efforts here, check out our premium quality ASWB Clinical study guide to take your studying to the next level. Just click the ASWB Clinical study guide link below. Your purchase also helps us make even more great, free content for test-takers. Our customers love the tutorial videos from Mometrix Academy that we have incorporated into our ASWB Clinical test study guide. The ASWB Clinical study guide reviews below are examples of customer experiences. This book certainly provides a lot of information. I find the way the beginning of the book is structured explaining a variety of concepts is quite helpful. I also feel that the explanation as to why an answer is correct or incorrect quite useful. As I continue to use this book, I have found it to be even more helpful. Very helpful study tool for NY State Teacher Certification test preparation. I especially like the online video and instruction notes; this is an added benefit to the book. I am working slowly through this book and believe that I will be adequately prepared to take the teacher certification examination. This book was small but mighty!!! I had taken the ASWB clinical test once before and missed it by one point! So the second time I thought maybe a study book would help me. I ordered this book and loved it! The tips were great and it was the only difference I made between the first time I took the test and the second. It made all the difference! I passed the second time by 20 EXTRA points. I would totally recommend this product! At a quick glance inside the book I LOVED the fact that there are videos to help review the materials online. I love the variety of study skills such as, visual and audio! The blurb on the “Top 20 Test Taking Tips” was even resourceful as well! Just looking at the book at a quick glance has already calmed my nerves and boosted my confidence in executing passing this test! I found this study aide to be helpful because it gave a definitive explanation of the three sections included on the test, along with giving Instructional Support to aide in the transition to the classroom. I was also happy to see that there were hints given along the way to help one while studying. My apprehension about ordering the book/guide where completely gone the moment the book arrived and I started using it. The fact that it provides not only the answers to the questions but also an explanation as to why one is the correct answer which also includes the rationale as to why the other options were not correct is Great. It is true learning tool and I am glad I ordered. I think this book has been very helpful so far and enjoyable .It is detailed oriented to the point that makes it understandable and comprehensive. It is very well organized and informative. I have not taken a practice test yet but, I do think that by the time I get to that point I will be very well prepared. I am actually excited to read this book as opposed to dreading it. Thank you for all of your help. This study guide was incredibly helpful in preparing me for the clinical examination. I was able to pass on the first time and I believe it was due to these practice questions. It helped me to realize the question being asked was not always as obvious as it may seem. The explanation to the answers was invaluable. I am so grateful to have purchased it. It was a low cost investment that turned out to be invaluable! This is an awesome study guide. I particularly like the general strategies and find them to be helpful. When I was taking the exam for LMSW, I used your manual for that test as well. The sample test questions are very similar to the test, and the strategies are examples of how to answer the questions. Material is simple to use and very complete for the purpose of studying anywhere you have a moment. I am preparing for the test next spring and love to manage the material bit by bit as to not feel so overwhelmed!